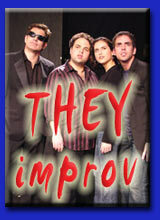 THEY improv provides a variety of lawyer skills programs including Jury Science classes helping attorneys in the jury selection process, tracking juror reactions to the courtroom, and predictive analytics for final results using a shadow jury. We can either provide these services or train others to perform these services for the case involved. Attorneys handle cases that can mean the difference between life and death. Finding an edge to improve the chances for victory can make the difference or result in large sums of money changing hands. 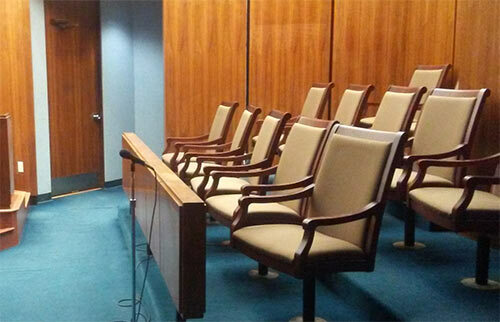 Our Jury Science training program is designed to improve the likelihood of a favorable verdict. Jury Science is a growing field in the understanding of the selection, prediction, strategic approach and manipulation of individual jurors and total panels. The idea of understanding and playing to the jury is not new. Far from it, the concept of having a juror of one's peers has always been an imperfect one and finding inroads into the mind of the jury goes all the way back to the Salem Witch Trials. While the results of those cases are infamous, the idea that jurors can be influenced in a variety of ways, whether it is emotional manipulation or fear of public outrage, is as true today as ever. With newer technology, such as Social Media and the 24 hour news cycle, there is a heightened sense of it all and the pressure is all the more prevalent. Having the skill of selecting a jury, understanding how the jury would react to a variety of approaches and being able to see a verdict before it is handed down can be the keys to success. Getting the right jury for your side can disrupt the strategic thinking of opposing counsel and can lead to settlement requests on the spot. Seeing how the jury might react to different things can lead to strategies being chosen that can put opposing counsel in the most unfavorable light. This can lead to the alienation of the jury from their side which can lead to victory. Knowing what the verdict would be ahead of time could lead to strategic choices for settlement that might prevent and adverse verdict, or a plea bargain that could prevent further disruption of one's life. There are more options than can ever be imagined, so to obtain a specific quote or information regarding these Jury Science classes, simply contact us with no obligation to determine what might be the best approach to achieving your goals for either a specific case or more general training.